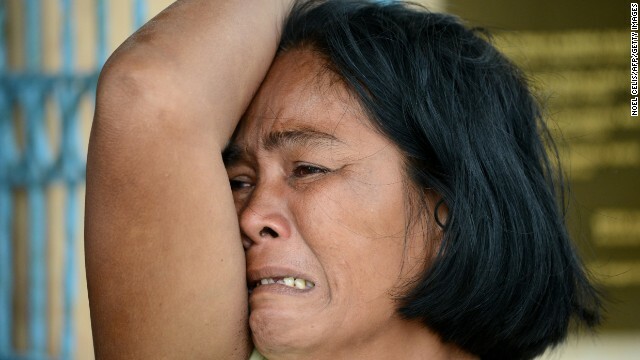 The Philippines is still assessing the destruction wreaked by Typhoon Haiyan, which is estimated to have killed at least 10,000 people and caused damage costing billions of dollars. The super typhoon may have a greater economic impact on the country than Hurricane Sandy did in the U.S., according to estimates from disaster modelling by Kinetic Analysis Corp.
What’s definitely clear though, is that the country’s women will be hit harder than the men. This is true not just in the Philippines, but pretty much in any disaster area, particularly in a developing nation. Fortunately, the Philippines has the smallest gender gap among developing nations and its women are a feisty, resilient lot. Even so, the government, aid agencies and donors would be well-advised to keep women front and center as the country recovers from the tragedy. This entry was posted in Life, Women and tagged Asia, Gender Gap, Natural Disaster, Philippines, Southeast Asia, women. Bookmark the permalink.